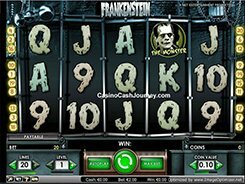 This 5-reel slot from NetEnt is inspired by the 1931 horror film, Frankenstein, that was based on the Mary Shelley’s novel of the same name. On the reels you will come across the main characters from the film like the Monster, Dr. Frankenstein and the hunchbacked Fritz, doctor’s assistant, as well as the Brain symbol and playing card symbols from Nine to Ace. 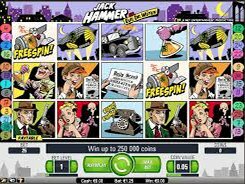 The slot is playable over 20 paylines, with the maximum wager reaching as high as $100 per spin. 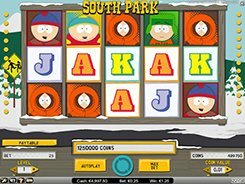 Three or more Mill symbols unlock 10 free spins with a random multiplier that varies from x2 to x5. 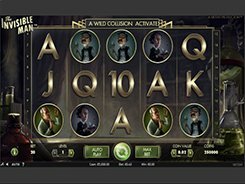 The slot boasts the NetEnt’s trademarked Linked Wilds feature. During the base game, a Lightning Wild symbol can land on the reels and transform two or three nearby icons into wilds. 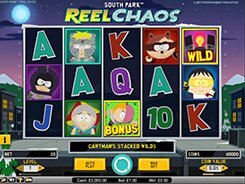 During the round of free spins, a Fire Wild symbol is guaranteed to appear on every spin and does the same as mentioned above. Sure, having a few wilds on the reels gives you more chances to boost your winnings. 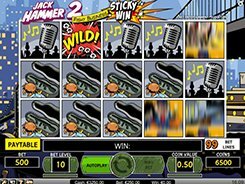 The grand prize you can win in the slot is worth $7500.